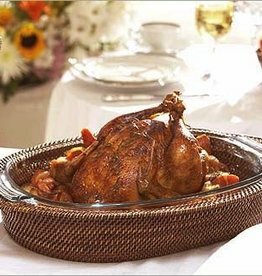 Straight from oven to table, your bubbling epicurean masterpiece will take center stage in our shimmering Pewter Stoneware baking dish. Pewter Stoneware Shallow Baker - 15.5"
Our long-awaited Lastra Aqua has arrived. 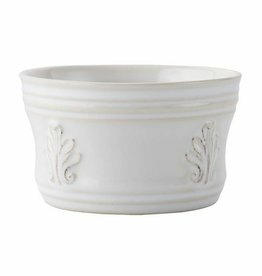 The rustic yet chic shape of the square baker looks clean and sophisticated on your table. Handformed in Tuscany of Italian stoneware. The Sueño collection is a romantic reverie in softly textured, beaded (and recycled!) aluminum. 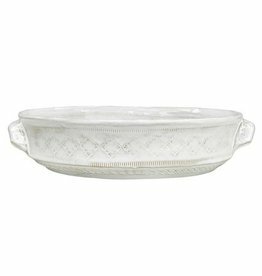 An oven-ready, 3 quart Pyrex sits on an oblong casserole caddy, enveloped by a beaded border of flowing contours. 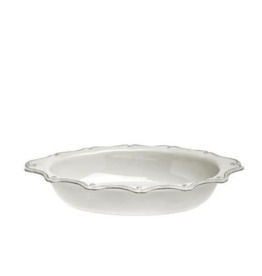 Pyrex is removable for easy cleaning. Bake your mother's favorite chocolate chip muffin recipe in the Lastra White Muffin Tin. Handcrafted in Italy, Lastra exudes style and simplicity with rustic edges and accents. 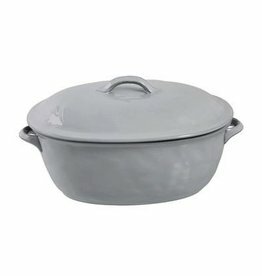 Pewter Stoneware Shallow Baker - 12.5"
Love this new piece that will never go out of style! 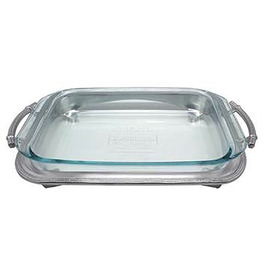 Our handsome and softly polished Classic Oblong Casserole Caddy has a removable 3 quart Pyrex that can go from oven to table, making entertaining easy. Stoneware. 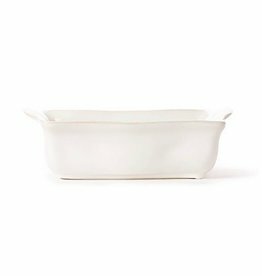 The Forma Cloud Square Baking Dish is handformed from the strongest Italian stoneware in Veneto, and it transitions from oven-to-table beautifully.